King Offa pupils have been out and about this week entertaining people all over East Sussex. 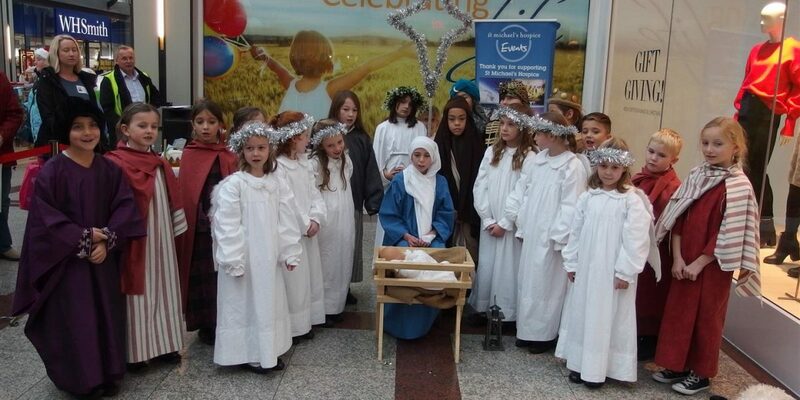 Our country dancers have once again put on a fantastic nativity play that they have performed at various locations this week including Priory Meadow shopping centre in Hastings. You can see them this weekend at Manor Barn on Sunday at 3:00pm along with the chance to meet Father Christmas and his reindeer. Thank you to Mr and Mrs King and our parent volunteers who helped the children perform so well. On Thursday evening our year six pupils joined in with other local schools for a fantastic performance at the De la Warr Pavilion for the Big Sing. Although small in number they more than made up for it with their amazing singing and really were a credit to the school. Year three had a very exciting start to the week when they joined in with a circus skills workshop organised by Miss Gosling and Mr Hill. The children have been using the book Eric and the Place Beyond in their English lessons and the workshop was designed to help bring the text to life. The children (and adults!) thoroughly enjoyed themselves. On Wednesday we welcomed visitors from America to King Offa. Eric Waller and Henry Chiu work for Pansophic Learning who are the sponsors of Aurora Academies Trust. They visited all the Aurora schools to see how we are using technology to support learning and how we teach computing in our schools. Mr Hill, our computing subject leader, spent time with Henry and Eric thinking about how we can continue to improve the way we use technology at King Offa. There were many exciting ideas discussed and fingers crossed we may see some virtual reality being used to enhance our curriculum soon! Rehearsals are well underway for our Reception performance of ‘Whoops a daisy angel’ and Key Stages One and Two are looking forward to their carol concerts at St Stephens Church on Tuesday 19th December. I hope you will be able to join us at one of these events.